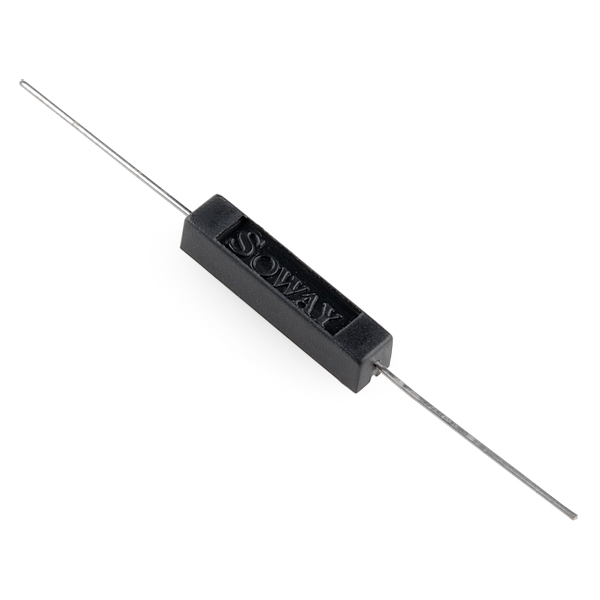 This reed switch can be populated easily on a PCB and is encapsulated so it's more durable than glass reed switches. Any chances it will be back in stock soon? Thanks. Is this a molded body package, or a glass reed switch inside of a plastic body? I didn't know so I cut one open. It seems to be just a glass reed switch inside a plastic body. So, the same reed switch you know and love, but with a more durable body. I didn't know so I cut one open. This (among many other reasons) is why we love SFE. Can this switch be set up for when it is in a magnetic field, the switch is "off" and vice versa? I guess its called what a normally closed switch? Or do they make such reed switches? You can get reed switches that are open with the magnet nearby. They have a little lever inside the tube. The magnet needs to be stronger, though. 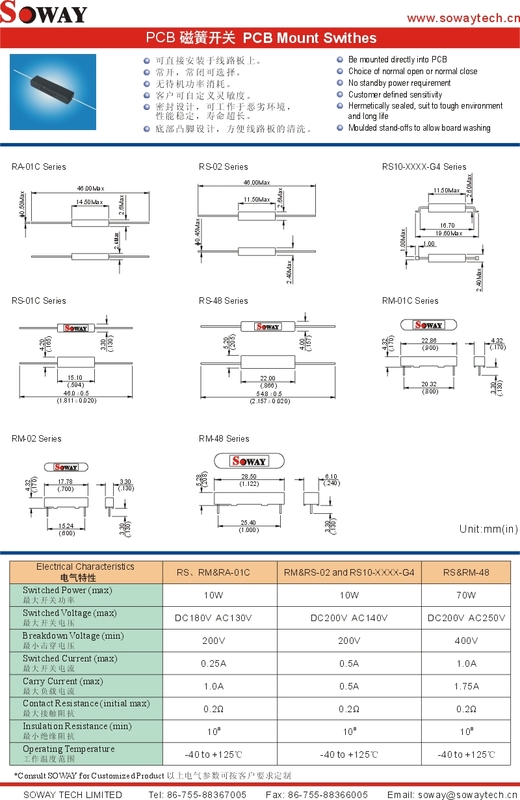 When you look for reed switches (sometimes called magnetic switches) some manufacturers call them "Normally Open" when the magnet is nearby, other manufactures call them "Normally closed" when the magnet is not nearby (the same switch!). So you have to be careful to get what you need. I'm guessing that a PNP/pMOS transistor would accomplish this far more effectively than a reed switch of greater complexity. The PNP/pMOS transistor performs a logical inversion - thereby switching off when the reed switch is closed (conducting), and switching on when the reed switch is open ("off"). Sparkfun (and every reputable electronics supplier) carries both. the MOSFETs are better for higher current applications, but (speaking only for myself) are more slightly less intuitive for a beginner. how powerful do the magnets need to be for this reed switch to work well? I just got a couple of these this week and did a quick test. With the .125 inch magnet squares I have to be about a quarter of an inch or less away from the reed switch for it to activate. With a magnet out of an old hard drive (quite a bit larger than the magnet square) it was around an inch. Can't find any information on the operating-distance (must operate, must release) of the sensor on the Datasheet or anywhere online. Maybe someone has practical experience and can estimate those values?? OMG - THANK YOU. I've broken so many glass reed switches, I was ready to start implanting magnets in my finger tips to trigger my devices. THANK YOU!!!! Yep, I'm in the same boat. I broke no less than 5 installing them into a project that only required 1. Perfect example of Murphy's Law. How many times can these be switched before they wear out and need to be replaced? And how "bouncy" are these? the datasheet is VERY vague. Are you going to incorporate this reed switch into the sensor kit you have or keep selling it with the normal glass reed switch. I feel you should due to durabilities sake. good idea. we'd need a more reliable supply, but that's worth considering for sure. thanks.